bluesbear, originally uploaded by jahansell. 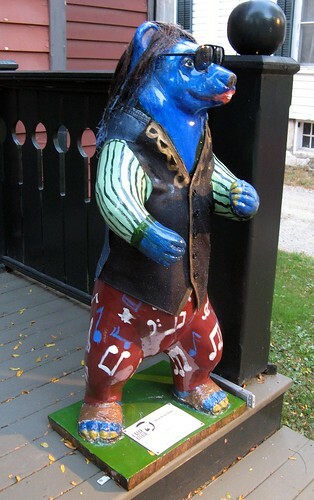 The Blues Bear lives on the front porch of what everyone still calls the WKZE building, though KZE moved to Rhinebeck a couple of years ago. (WKZE was, and is, a wonderful independent radio station playing music you won't hear anywhere else (except maybe on tiny college stations.) The town bought the building and it stood empty for about a year, until Marshall Miles rented it for his AM station, WHDD. A lot of the folks who had worked for KZE also now have shows on the new RobinHoodRadio.com - an internet-only station that (I think) is based out of this Sharon location as well.